Old Glory Grand Prix II - 5 days before registration closes! ONLY 5 DAYS LEFT TILL REGISTRATION CLOSES! 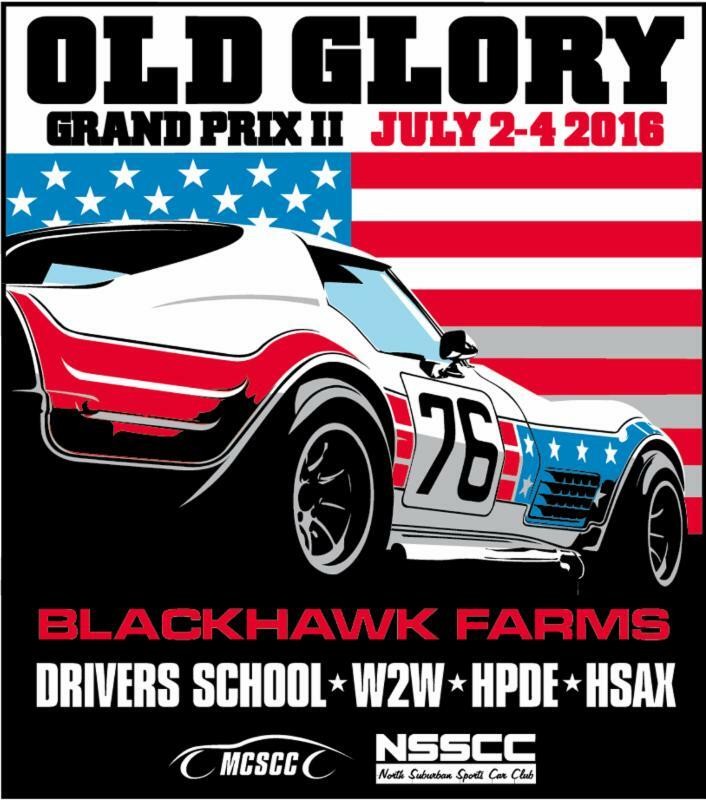 North Suburban Sports Car Club proudly presents "Old Glory Grand Prix II" on Sunday July 3 and Monday July 4. A "Special Free" Closed Wheel race will be run on Sunday Night. It follows the second MCSCC Drivers School of the year, which will be held on Saturday July 2. Please download the full entry form below for full details and schedule. Click here for Wheel-toWheel / HPDE / HSAX details! Click Here for Drivers School Information!